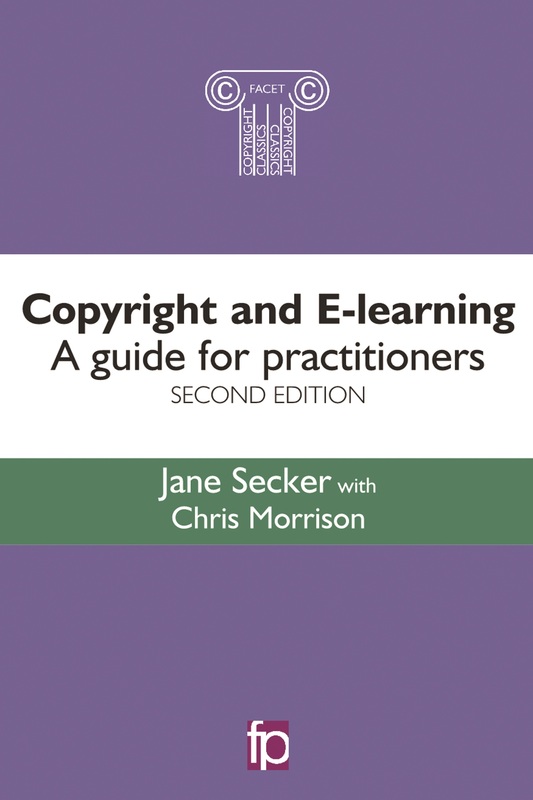 Copyright and E-learning: a guide for practitioners was first published in 2010 by Facet Publishing. The book has now been updated and the 2nd edition is authored by Jane Secker and Chris Morrison. It was published in June 2016. We maintain a list of further resources from the book on this website. We have also made Chapter 6: Copyright education and training available on open access. If you wish to buy the book, we have a discount flyer available. As part of the research for this book we gathered data on the scanning of core readings in UK higher education libraries and the use of other published content in education. Much of this activity has been shaped by the Copyright Licensing Agency’s (CLA) Higher Education licence. The 2010 edition of the book presented data from a Survey of Scanning in UK Higher Education carried out in 2009. The 2015 survey was available until Friday 27th November 2015 and we published the UK HE Scanning Survey 2015 – Final Report for open access in March 2016. The questions are available as a PDF if you would like to view them. Andrew Eynon’s published a review of the book in December 2016 in Volume 10 (2) of the Journal of Information Literacy. Emily Stannard published a review in LSE Review of Books in June 2017. Interestingly blog posts on LSE Review of Books are published under a CC-BY-NC-ND licence and so her review was also re-published on the San Francisco Review of Books (California here we come perhaps?). Emily has given a similarly fair assessment of the book, recognising that perhaps teachers and lecturers are less likely to read our book than librarians and teaching support staff, despite our best intentions. In December 2017 a review of the book appeared in the Journal of Copyright in Education and Librarianship, written by Sarah McCleskey. Just purchased the book, hope it will help me in my job.